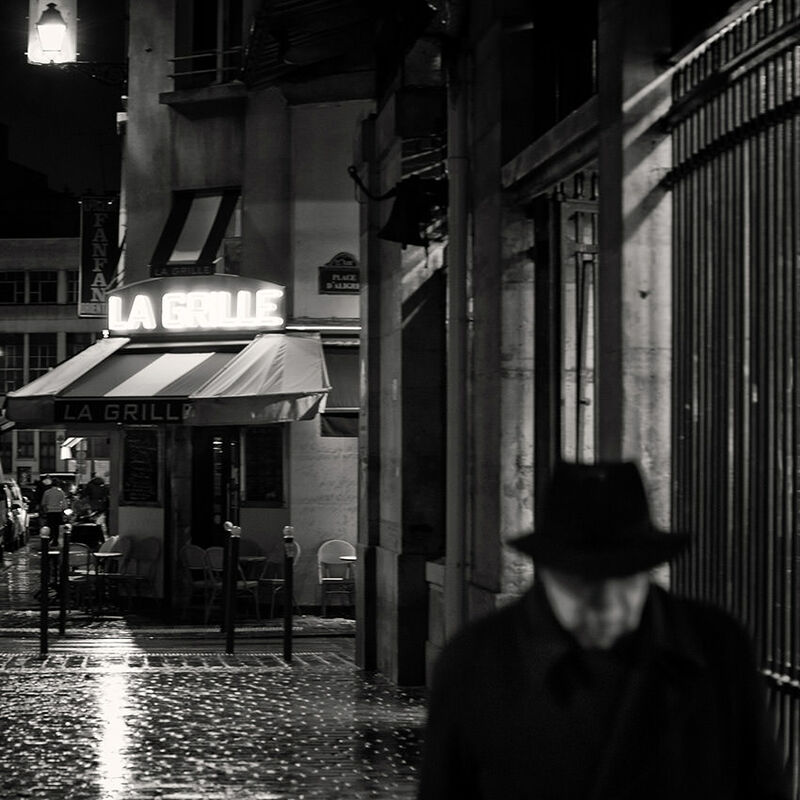 The place d’Aligre by a rainy night in Paris. An old mustachioed man wearing a hat and dressed in an overcoat is walking Place d’Aligre by a winter night in the rain in Paris. Un vieil homme moustachu coiffé d’un chapeau et vêtu d’un pardessus marche Place d’Aligre par une nuit d’hiver sous la pluie à Paris.